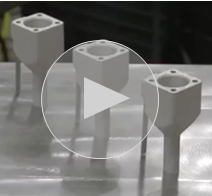 Concurrent Technologies Corporation (CTC) offers a variety of Additive Manufacturing (or 3D Printing) processes to provide our clients both complex part manufacturing and the ability to repair worn or damaged high-cost components. 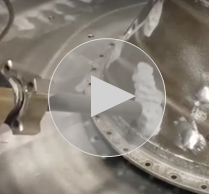 Whether you need specific part geometry for performance enhancements or a cost-effective repair process for high-dollar components, CTC’s experts offer the Metal Additive Manufacturing process that can get you results in days. 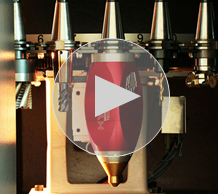 Our engineers can move you quickly from concept and design to manufactured product. These processes can also be merged together to provide customized solutions. Contact us today for a free quote. Concurrent Technologies Corporation applies its 30-year history in metals and metal processing solutions to be an all-encompassing service provider for Metal Additive Manufacturing/3D Printing solutions. We provide a comprehensive suite of services including reverse engineering, process development, characterization of powder and substrate, surface profile preparation, material application, post processing, final machining, and inspection. CTC also provides services to evaluate, validate, and qualify the part through mechanical and physical property characterization. All processes are controlled in-house to ensure quality results. Read our brochure or watch our video to learn about some of the innovative projects our AM experts have completed for our clients. Concurrent Technologies Corporation is an all-encompassing service provider for Additive Manufacturing solutions. We offer complete process execution including reverse engineering, development of process parameters, powder and substrate characterization, surface profile preparation, material application, finish machining and inspection. We also provide services to evaluate, validate and qualify the repair through mechanical and physical property characterization. All processes are controlled in-house to ensure quality results. Contact us for your Additive Manufacturing solutions.